Matt Chisenhall is the Founder and CEO of Mattchis Technologies. He is an innovative, customer focused, results-driven IT expert. Both down to earth and easy going; Matt is not your typical IT guy. He is a people person, who takes special care in providing consistent and reliable service- his unique ability to communicate technical concepts in an easy- to- understand way is one of the many skills which make him invaluable to his customers. As a subject matter expert in IT Strategy, Development and Execution, he consistently proves to be a valuable asset in the Technology industry. Matt’s experience and expertise is vast- he worked for President Bush Sr. and the presidential Office Staff as their personal IT Administrator; traveling across the country with the President to ensure all IT related needs were met. He has successfully helped build a 5 million dollar HIPPA Certified Data Center for the medical industry. Matt was a consultant for the co-founders of Compaq Computers. Matt’s goal for Mattchis Technologies is to transform the way IT Service Providers are perceived and how IT Services are delivered to the everyday customer. He created this IT firm not only to offer the highest level of products and services at the most affordable price, but to deliver these services in a manner which is reliable, efficient, scaleable, friendly, and most importantly understandable to all his customers. 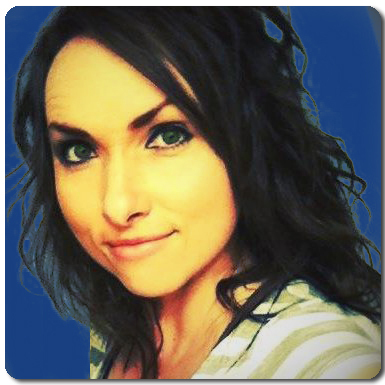 Tiffany Mikesell is the Manager/Business Developer of Mattchis Technologies. Tiffany has extensive experience in business development, planning and forecasting. She is fierce, smart, and professional; she possesses creative problem solving skills, thus allowing her to engage in complex conversations with diplomacy and grace. Tiffany’s background in Management and Psychology offers a unique combination of versatile skills and perspectives. Her strategic marketing/media relations through multiple communication channels including social media, press releases, blogs, and other news venues make her invaluable to creating Mattchis Technologies media presence at both the local and national level. She is extremely professional in all business transactions, assisting in all stages of client relations. Her previous experience at the University of Phoenix working with students has equipped her well to deal with diverse groups and needs. Tiffany has an uncanny ability to make new clients feel like old friends and instills a comfort level that is rare- it is this ability that makes her a perfect team member of Mattchis Technologies- where our goal is to provide reliable, efficient, scaleable, friendly, and easy to understand IT services to all customers. Richard is the newest member of the Mattchis Team. He brings many years of IT experience to the company. 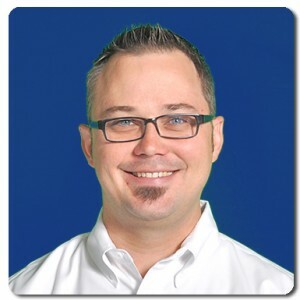 He specializes in Desktop support, server set-up and maintenance, troubleshooting and networking issues. He excels at the desktop support aspects of IT, as well as Windows server support and deployment. Richard provides exceptional customer service, and is excellent at finding solutions to problems. As an IT Support Specialist, Richard responds to and solves customer issues. One of Richard’s best qualities is his calm phone demeanor. He puts customers at ease, and feels no problem is too difficult to handle. Richard is very easy to work with, making him an excellent addition to the Mattchis Technologies’ Team. Why not take our 30 day challenge? Try us out for 30 days, absolutely free - No obligations! A free network analysis report is included!